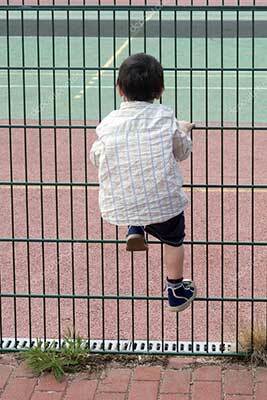 If you are in need of an anti-climb barrier that is child proof, yet will protect your property from unwanted people climbing over your fence, then a “Roller Barrier” is the ideal solution. 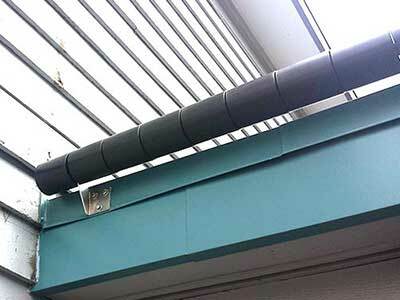 The Roller Barrier System consists of unbreakable roller cups, which are flame retardant, threaded onto a central shaft, supported at intervals by fixing brackets. The cups are too large to get a grip and rotate freely and independently on the shaft, thus forming an unstable barrier which is extremely difficult to climb over. Crime prevention Roller Barriers can be used extensively to protect your property, you can even have a double row if your wall height is a bit low. You can install on walls, gates, to keep intruders from climbing onto your roof, and feel more secure. Not only are they grip proof, should anyone try to climb over, the alarm will go off and alert you to a possible intrusion. This is a safe way to keep children and pets inside your property, while keeping possible intruders outside. It is a great way to secure areas you are not sure of, where a ladder or other means to climb over is possible, and ensures that your property is safe for your family’s protection. Please feel free to contact us for a free quotation, or to discuss your requirements to keep your property safe. 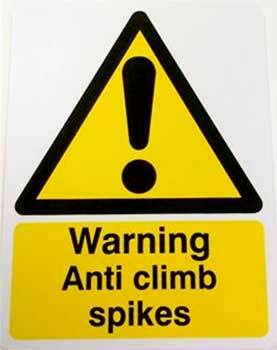 Anti-climb spikes are widely used on top of walls and fencing and act as a deterrent to a would-be intruder. They come in single spike, double spike and rotary razor. There is also a blade spike often used on the top rails of palisade fencing. Perimeter walls are the first line of defence when it comes to protecting our homes. Fences should be at least 2.1m high, to deter a would-be intruder from trying to climb over your perimeter fencing. Any product that is on top of your wall if it is high, becomes much more effective as it becomes virtually impossible to tamper with it. Do not have wide pillars or any foothold that will help an intruder climb over. An excellent product to fit to the top of the wall would be wall spikes as they are heavily ribbed for strength and extremely dangerous to climb over. Make sure the anchors used to fit the razor spikes are very difficult to remove, they should expand inside the wall for added benefit. 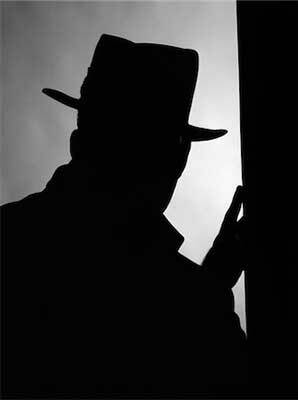 Do not plant trees or bushes close to your perimeter, as they afford burglars an excellent hiding place. Any bushes should be small and neatly trimmed to prevent anyone from hiding behind them. A wall that has razor spikes is a good way to keep your family safe and secure. 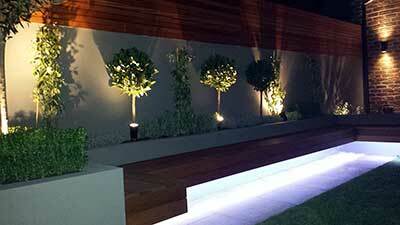 Please contact us to discuss what would be best for you, and receive a free quotation. There are many homeowners who install a fence around their property without giving it much thought. A fence is a fence….right? Wrong!!! Some fences can actually make you a target for burglars, which is the opposite of what you really want and need to help protect you from burglars. 1. Doesn’t Provide a Hiding Place. When deciding on the type of security fence you need, think “see-through”. You need to be able to see anyone attempting to enter your property and if they do get in, you want neighbours, the security company and passers-by to be able to see them. High, solid security walls offer a great hiding place for burglars, and should be avoided, especially if you are living in a high crime area in South Africa. 2. Difficult to Climb Over. There are ways to prevent a would-be burglar from entering your property. Here are a few important points to keep in mind. • Make sure the fence is high, the higher the better. • Another thing to check are the horizontal rails, as fences with too many horizontal rails can give burglars a foothold to help them climb your fence. The fewer the horizontal rails are, the more safe the fence will be from climbers. 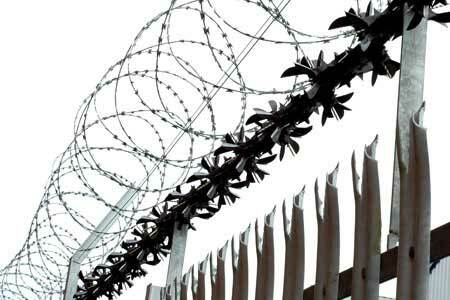 • The top of the fence should be spiked or pointed at the top, or you can install razor wire, electric fencing, or ant-climb spikes on the top of the fence for added protection. 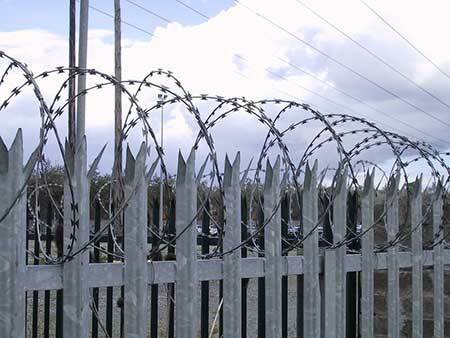 If a burglar can easily go under the fence, or cut through it, your security fence is worthless to you. Make sure too that your gates are closed and locked so that they can’t just walk in. • Make sure your fencing is secured into the ground with concrete. Posts definitely need to be well secured in concrete. Although it is a bit expensive to have a concrete footing the whole length of the fence, it does offer the best security to prevent digging. • Make sure that the steel used for the fencing cannot easily be cut through with, for instance, bolt cutters. • A fence is only as secure as its weakest point, so make sure that you have very secure, heavy duty gates that match the security of the fence. Always bear in mind: Your home looks more difficult to break into if you have proper security fences and gates. It serves as a mental barrier as it will be impossible to get to the house unnoticed and a quick getaway is then out of the question, as a burglar wants to be able to get away with whatever they have stolen as quickly as possible. If you need advice, more information or a free quotation, please do not hesitate to contact us. Your boundary walls are the first thing people see when they come to view your property if you are wanting to sell. A drab, neglected wall will give a bad impression of your property, while an aesthetically pleasing and well cared for wall will add appeal and value to your property. In South Africa we are all very security conscious now, and one of the non-negotiable prerequisites when buying a property, is a good security wall and steel gates. Country Wide Walling not only design and install your walling, but also good quality swing or sliding steel gates, making your property both secure and appealing to potential buyers. If your walls are drab and neglected you can be sure people will argue on the price of your property to bring it down to cover the installation of secure fencing and gates for the protection of the property, family and pets. Nobody wants a property where the walls look like they are about to come tumbling down and injuring kids, animals or even passers-by. By taking good care of your perimeter walls you give a good impression and it does enhance the value and desirability of your property. It is a good idea, if you are looking to sell your property to invest in a good security fence first, as you do not want to have people taking one look at your walls and turning away. Walls are, after all the first impression people get when they approach your property. We all know…first impressions are lasting. Country Wide Walling have a large selection of walls to choose from, and one of our consultants will be happy to advise and guide you on your selection. Please feel free to contact us today for a free quotation or to discuss your requirements. 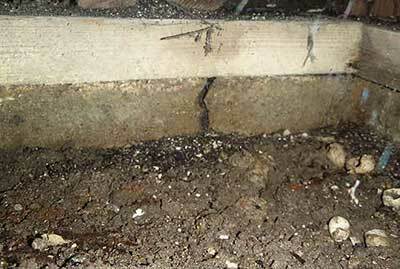 As walls are our security, it is a good idea to check them regularly for any damage. 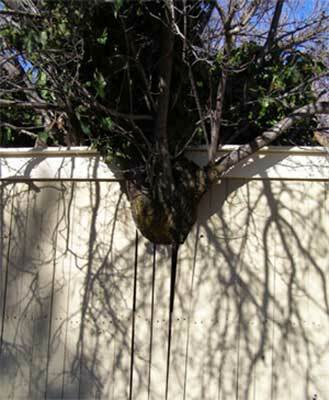 Planting big trees too close to a wall can cause damage as the tree grows and the roots expand. It is never a good idea to have big trees close to a property, thus circumventing the security your wall offers you. 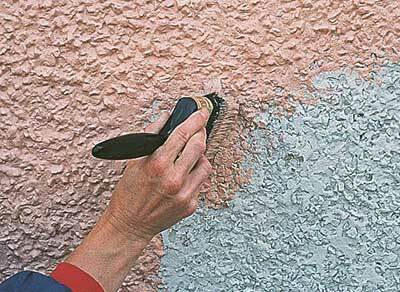 Check regularly that nobody has tried to chip away at your wall to gain access and immediately have it repaired if you discover any damage. Country Wide Walling incorporates steel reinforced modular components that interlock during the installation process, thus making them very strong and durable. Permanent colour can be added during the manufacturing process which eliminates future painting of the walls, rendering them aesthetically pleasing for many years. If you chose to paint your wall after installation, you need to check and repaint your walls when necessary to avoid them looking drab and dull and spoiling the look and feel of your property. A good quality wall is both aesthetically pleasing and adds value to your property. It also provides security and privacy. Country Wide Walling manufacture and install many different types of wall, so you can choose what would best suit your needs. Whether it is plain concrete walls, concrete palisade fencing, or steel insert fencing, we are sure to have the right wall and design to meet your requirement. We have a range of designs and colours for you to choose from, so do not hesitate to contact us to discuss all your options and help you make the correct decision for your property.